The FIMS Internship is a for-credit internship for up to four months, or a minimum of 140 hours. The internship will require students to make connections with academic study while undertaking supervised duties in organizations and businesses with media-related or information-related interests, public service organizations, and community groups. 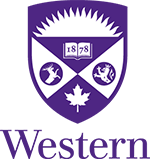 Prerequisite(s): Registration in the third or fourth year of either a Major or Honors Specialization module within the Faculty of Information & Media Studies, with a cumulative average of at least 70%, and no failures or documented academic offences. Approval of, and acceptance into, an internship placement. This course will count towards a Bachelor of Arts degree but will not count towards a module in FIMS. Students may count no more than 1.0 internship course toward a degree program in FIMS. Extra Information: The internship is given a 0.5 course credit, with a pass/fail grade based on the faculty supervisor’s determination of learning through the grading of assignments and fulfilment of the internship requirements.